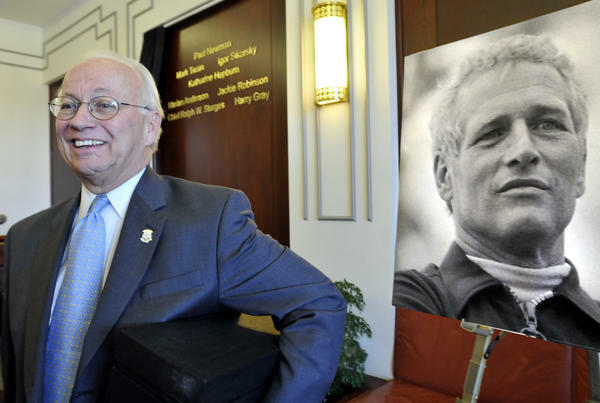 Robert H. Forrester, president and CEO of Newman's Own Foundation, at an induction ceremony for his friend, the late actor and humanitarian Paul Newman into the Connecticut Hall of Fame at the Legislative Office Building in Hartford in 2009. The company was founded by the late actor Paul Newman. 100 percent of its after-tax profits are given away by the Foundation. This unique arrangement, which has had congressional support for a decade, is now in jeopardy. The Newman’s Own story began in Westport, Connecticut, in 1982. Paul Newman decided to give away his homemade dressing to some of his neighbors for Christmas, and soon they were knocking on his door for more. Eventually, he started making enough of the dressing to distribute to local supermarkets in Connecticut. Over the years, the food company grew, and so did Newman’s charitable giving. To date, the Foundation has given away more than $500 million. When Newman passed away in 2008, he left the company to his Foundation. And that’s when the tax problem started. In 1969 – the year Newman starred with Robert Redford in “Butch Cassidy and the Sundance Kid” – Congress passed the Tax Reform Act, which among other things, prohibited foundations from owning more than a small portion of a for-profit enterprise. This was to prevent wealthy people from using foundations as tax shelters. Under the 1969 tax law, Newman’s Own had five years to divest itself from the business after Newman’s death in 2008, or face a 200 percent tax on its assets. Newman’s Own was able to get congressional support for a waiver to extend that an additional five years. That waiver expires in November 2018. And that’s where the Republican tax bill comes in. A provision to continue the waiver for Newman’s Own was included in both the House and Senate tax bills. It had support from Republicans and Democrats. At the last minute, the provision was struck from the bill due to a technicality. The Republicans had used a process called reconciliation that allowed them to pass the tax bill with 50 votes, instead of the 60 votes required by Senate rules. Forrester is hopeful that lawmakers will find a way to pass the waiver for Newman’s Own in the next couple of months. If that doesn’t happen, the Foundation would be forced to divest itself from the food company. Forrester said that would mean Newman’s Own would not be able to continue its charitable work at anywhere near its current level. Disclosure: Newman’s Own Foundation is an underwriter with WSHU, NPR, and other public radio stations. 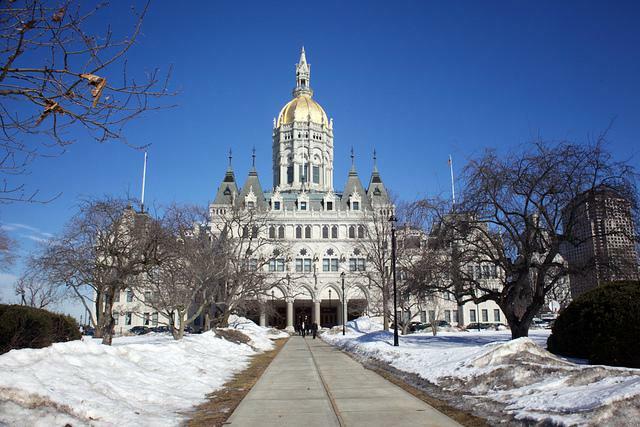 When it comes to negotiating a way to fix the projected state budget deficit of $208 million, Governor Dannel Malloy had to go first. That statutory obligation was activated because the shortfall reached more than one percent of the general fund.